If you know of any other inexpensive or easy ways to tint or shield the sun from your home windows, please leave a comment below to help other save money and stay cool in the summer heat. It is interesting to learn about the cost benefit of tinting windows. I did not know that is saves you money when it comes down to it. What a neat idea for saving on your utility bill. 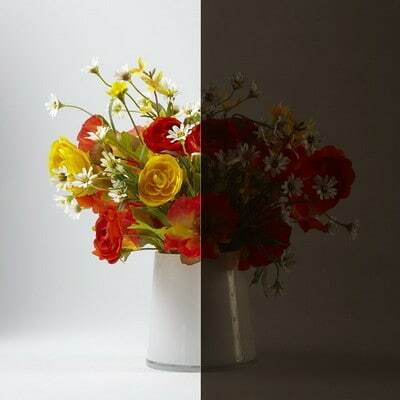 I think window tinting is a great way to be ecological and energy efficient with your house. 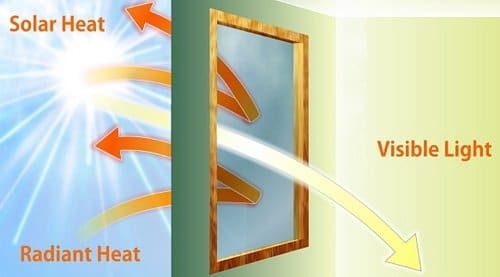 I always thought it was for looks, but I had no idea that tinting could reduce the amount of heat that enters your house! I don’t like living in a huge fishbowl for everyone to see, so it would be nice to get a reflective coating on my windows or something. It is probably the main reason why black cars always have tinted windows, so they stay cooler. I would love to get my car and house tinted. Tinting your windows can be a simple fix to reduce heat inside your home and lower your energy bill. You also mentioned solar screens being a viable option. What do you recommend between the two? Which would end up saving more energy in the long run? It depends where on this planet you live and which direction your home faces the sun. How many windows do you have facing the sun? From your homes position, does the sun set East to West or North to South? Are you trying to save money or block the sunlight or both? What are you willing to spend? Do you have an HOA (home owners association) which may prevent you from adding certain things to your windows? I had no idea that window tinting could save you so much money! Like you said, it’s perfect if you live in an area where there’s constant sunlight on your home. I bet it would really help my own home. Jeff Bridges, I have never heard of people tinting their windows in the home before either, but I think it’s a good idea. I mean, getting blinded by the Sun all day long while trying to relax in you living room gets old real fast. It may affect your home during the winter, but I bet it wouldn’t be drastic. I will have to do some research and find out more. 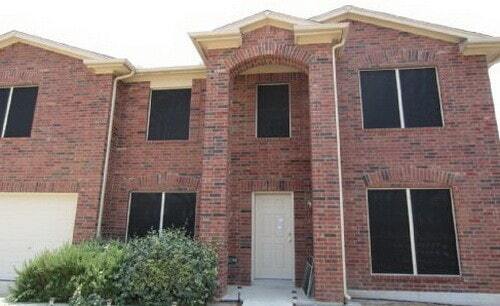 I have never hear that people actually tint windows in their home. I could see how that would be a great thing to do depending on where you live. I have pretty hot summers here, but we also have cold winters. Tinting my windows might make the winters a bit colder. Great article! My husband and I have always been interested in conserving energy. Who wants to pay a high heating bill? No one. Thanks for posting information on how tinted windows can reduce solar heat; I’m going to look into this service. Now that it’s summer, I finally have some time to undertake a project like this! I didn’t have tinted windows when I lived in Northern Utah, but I moved to Phoenix last October. Now I absolutely do. It seriously has saved us so much money and energy cooling the house down! It’s not something everyone considers, but it’s well worth it. I didn’t know that you could tint the windows in your home so that you could save energy. It does make sense how it would though. Only certain light is let in by the tinted windows, like the article say’s, and that causes the home not to warm up as much as it would with all the light coming in. I think I would like to do this to my windows at some point in the future. Window tinting is especially useful in hot climates where keeping cool is the biggest concern. It allows you to let more sunlight in and get some natural lighting without letting the heat in. In cold climates, however, heating is going to be much more expensive, and heat from the sun is helpful. When I think of window tinting, I normally think of just car tinting. Now that you mention it, I’m going to look into getting my home tinted. Like you said, it would really help the energy efficiency of my home. Plus it would look cool! Do you have any other reasons for getting it? Yes it also can provide some privacy from anyone seeing into your windows. Depending on the tint shade color, this is a huge bonus. It’s interesting how window film can actually save you money. Sometimes, sunlight induces headaches for me. With these window tints, I can enjoy my home without having a headache! Tinting window has become a necessity. The sun rays are becoming hotter this year and you want to tint your car window as well as your home. If your family has someone who is driving for a living you definitely should install tinted window to protect your skin. I work at Tint World and this is our specialty. You want to make sure you get the best product and service. Sometimes you can save some money by doing it yourself but maybe you want to chat with professional first. Just come in and see the products we use and how we use it. Hope to see you there. I think there is a typo in the article. Solar screens will run you $150-$350 each. Not for the entire house. We believe that would be determined by where, when, what type, and how you purchase them.